2 Beds 2 Baths 1,178 Sq. ft. Welcome home! Don't miss this sought after single family house in the Summer Trees III 55+ Active Adult Community! Great culdesac location! Wow curb appeal highlighted by the pavered stone driveway, sidewalks and patio overlooking the back yard! You will love this 2 bedroom/ 2 bath home which is open and bright! This fantastic floor plan has a fresh & modern decor! 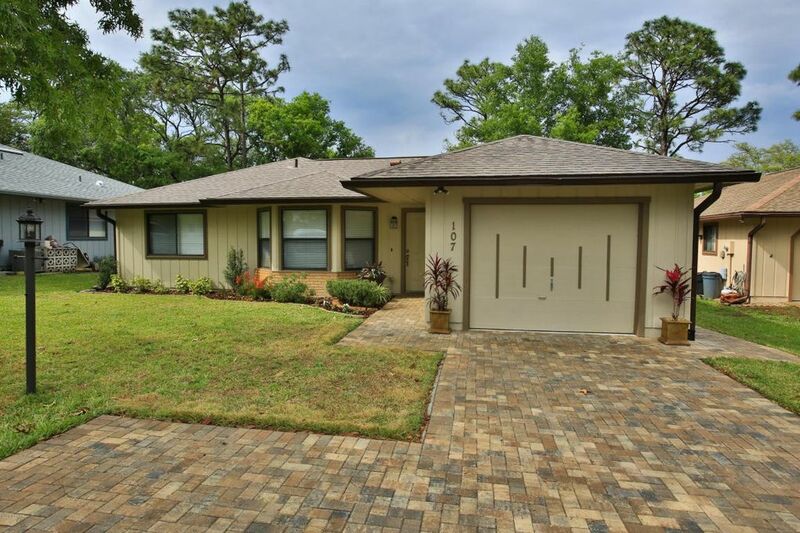 Sliders open to Florida room overlooking patio looking on to the walking path and treed back yard! HOA covers: cable TV, grass cutting, your house painted every 4 years & a community sub ter termite bond! Amenities include pool, clubhouse, tennis, pickleball, shuffleboard and miles & miles of shaded biking & walking paths! Furniture, turnkey move in package available for an additional $6000. RV/Boat storage!